Home » Articles » Keeping a Trading Diary. Is it necessary? Keeping a Trading Diary. Is it necessary? Is it important to keep a diary for binary options trading? Yes, it is and soon, you’ll find out why. Maybe, it sounds a bit boring and as a cliché. 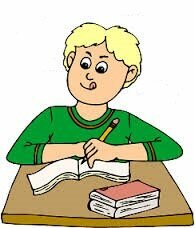 Maybe, you’re saying, “Why should I keep a diary, I did that in second grade?” The reason is very simple. Writing a trading diary makes you one step closer to your trading goals. 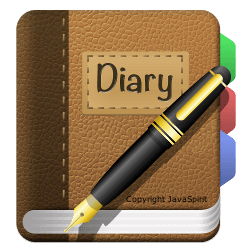 You probably think that it doesn’t make any sense to write a diary, but you’ll see for yourself, that it in fact is very useful. Why should you keep a trading diary and how to write one? You’ll find out below, so keep on reading. The main reason is to track the successful and unsuccessful trades and be able to analyze it later. Let’s say, for example, you’ve lost a trade and you’re angry. You’ll much probably behave as usual, trying to get the lost money back. You’ll probably blame bad luck for the unsuccessful trade… Saying “I’ve missed by 2 pips” and many other excuses. A second case is a complete opposite – a successful trade. You’re happy that you’ve succeeded and you behave quite different. You think you’re a mathematical genius and that you have the best trading strategy and you want to invite everyone for drinks straight away. You feel like you need to trade again, you’re on a good track. Yes, these examples are a bit extreme, but this is what will happen. At least in your subconscious. You have to be that smart to realize that it’s not according to the “rules” of binary options trading. Why is this really happening? Why am I not thinking rationally? Well, because you don’t have enough experience yet and the only way to gain them is by trading alone. The more one trades, the more experiences they have. This is where your trading diary will help and where you’ll be keeping track of all your trades. It’s very difficult to gain a good experience, if you’re ignoring results or you’re not analyzing them. I mean your own trades. This is the moment, where you use your diary. If you’re going to write down each and every one of your trades, you’ll see how helpful, it’ll be. You can, for example, come across a similar trading opportunity that you’ve already put down and you can behave accordingly. You either say that you won’t enter the trade, because you’d lose anyway or vice versa. You can base all your future trades on those from the past. If you’re not going to write a trading diary, the only thing you’ll realize is whether you are profitable or not and you’ll have to figure it out anyway. You find the main advantages of keeping a trading diary,below. How to write a trading diary? It’s very simple, just as you’d do as a child. Although, it’s very good that times have changed and there is no need for a pen and paper anymore, but if you want, you might as well use them. But I recommend to keep the diary online using: Google tables. They are always at hand in all your devices. It’s really nice to be able to make the table online, you can share it with other traders that could have a look at it. Then in turn you can have a look at theirs and learn from it. Once again, you will gain new experience and there is never enough of it. There are various program specially designed to keep track of trades, but I haven’t tried them yet. However, feel free to set up a new topic on some discussion forums, maybe even on our website, where you can also note your trades down. Another good thing is to make a picture of your trades with the graph included, all the information is already there and it’ll come useful. If you’re a fan of smart phones, there is also an app called trader diary. Opportunities are plenty, it’s up to you which one you choose, but make sure you choose one. What should a traders diary look like? You can have a look below, you’ll see what a traders diary can look like. Everyone can personalize it as they please. It’s definitely important to note when you’ve made the trade, what was the initial price, the final price, expiration time, the size of the trade, whether you’ve been successful or not and then you can add a note, for instance, with what broker you’ve traded. Here, for example, I’ve placed the broker High/Low. What might also happen is some important event that have influenced the market, so you could put that down as well. Whether you are going to keep an old-school-paper or an electronic diary, it will always come useful. It’s all in a day’s work, putting down every trade, but trust me – it’ll be worth it. It’s always nice to read over your successful trades before going to bed and it’s also a nice motivation once you wake up 🙂 The more work you put into it, the more useful it’ll be and the learning process will be much easier. Do it in a way that makes sense to you. Do you have your own experience with keeping a diary? Let us know about it in the comments section. We’ll be more than happy to learn something new.